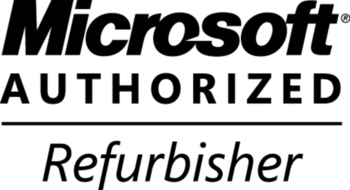 Alfanet S.A. is a preferred Microsoft Partner, through the Microsoft® Authorized Refurbisher (MAR) licensing program which caters for the large refurbishers that average a minimum volume of 5,000 refurbished Microsoft® Authorized Refurbisher (MAR) PCs per month. The MAR program enables Alfanet S.A. to supply refurbished computers and servers preinstalled with genuine Microsoft software to all businesses, consumers, and nonprofit organizations worldwide. All our computer hardware is pre-installed with genuine Microsoft® software. We use environmentally sustainable best practices when refurbishing computers, hence contributing to the reduction of e-waste. Your message was saved successfully. Your request will be reviewed as soon as possible and one of our representatives will contact you. Thank you for contacting us.